18V ONE+™ PEX Pinch Clamp Tool is rated 5.0 out of 5 by 4. Rated 5 out of 5 by cdkatkd from Great tool I've been looking to upgrade my pex pinch clamp manual tool with one that is not manual. So when I seen this tool I was excited. Wow I must say bets the day lights out of using a manual pex pinch clamp tool. Ryobi made this tool so easy to use & its compact size makes it easy to get in tighter spots then you can get the manual pinch clamp tool. It has cut my time down as well so a win, win. I would tell any one doing much plumbing go out & get one. Rated 5 out of 5 by daustin from Perfect tool This is one great tool, it beats having to use the manual ring clamp tool. It really cuts down on time there, The design and hand feel is perfect. I was truly surprised on how I could fit it in the tight spaces in my house to get a good clamp on the line. 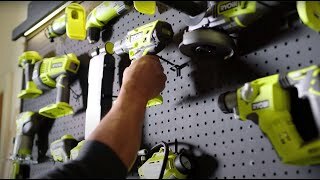 I am so happy that Ryobi came out with this this is a life saver! 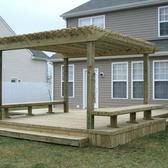 Rated 5 out of 5 by Chuck from Exactly what I was looking for I don't need the example, "I bought this a month ago and am so glad I did! " I am crazy glad to have found this tool. Not only have I invested in the 18+ Ryobi tech, I have used their tools for ages. Most of mine are blue, either electric powered or nicad battery powered. (all the lithium batteries work with the older generation nicad tools) I've been plumbing for nearly 50 years and am always reluctant to try the "latest" new thing. When I gave pex piping a try it wasn't long before I switched from copper rings to stainless cinch rings. It makes more sense to only need one tool for 4 pipe sizes! At my age, probably any age, if you do 30-40 crimps a day, your hands are shot. This tool might not reach everywhere you need a crimp, but believe me let it do the ones it can and when you need that special attention crimp you'll be fresh enough to do it! Love this thing. The fact that Ryobi did it first is icing on the cake for me. I was looking for something and didn't care who made it! I actually can't believe rigid and "propress" haven't become aware of the need for a tool like this. Good job Ryobi. 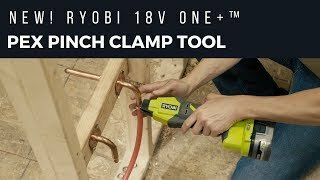 RYOBI introuduces the industry first powered PEX Pinch Clamp Tool. 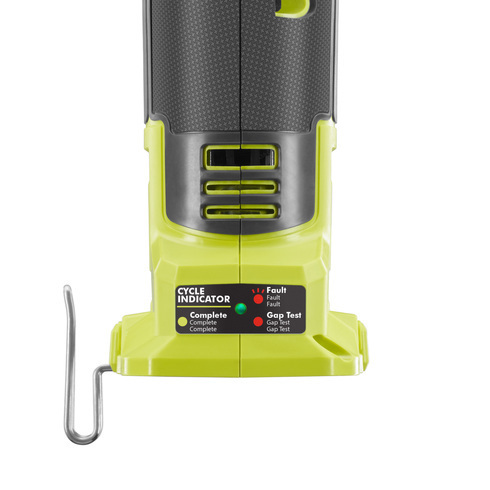 With cordless convenience complete up to 400 clamps per charge using a P108 battery. Complete clamps with ease and efficiency with one button activation and an LED light indicating a complete clamp cycle. The 18V PEX Pinch Clamp Tool fits all PEX clamps ring sizes so no job goes unfinished. Dual LED lights illuminate the workspace and the included belt clip make for ultimate portability on the jobsite. Innovation meets function for the ultimate jobsite solution.